Cyndy has worked in EMS since 2014 and has been a paramedic for LifeNet since 2016. “From an early age I had always wanted to be a part of the EMS family, however, I got a late start. I didn’t realize the many career opportunities available in this field,” she said. 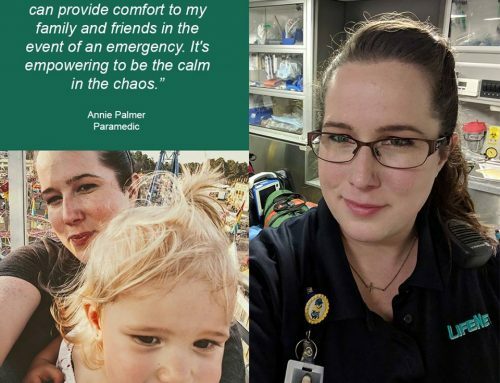 After moving to the Dallas region in 2011, Cyndy felt called to care for and serve others as a paramedic. Outside of work, Cyndy and husband, Tommy, enjoy spending time with their dogs, going camping as often as possible, and celebrating life’s milestones on cruises.